O’REILLY: Now what are these gangs fighting about? WATTERS: It’s mostly drug gangs and they are fighting over smaller and smaller scraps because the economy is bad. And white people aren’t buying as many drugs now. So the profits are down. So they’re trying to fight over turf, property and respect. Bill O’Reilly and Watters then let out a chuckle. I guess they were amused by the fact that these Chicago gang bangers don’t shoot white people yet this statement proves the role that economic deprivation has in escalating these gang conflicts. 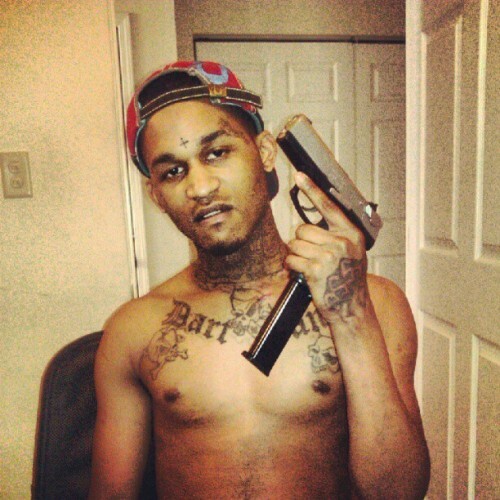 The largest gangs in Chicago are the Gangsta Disciples and Black Disciples. 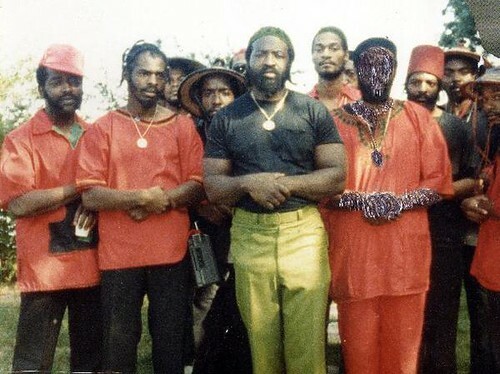 These two gangs used to be part of a single entity known as “The Black Gangsta Disciples”. After the arrest and imprisonment of key leaders and numerous organizers the gangs split into “The Gangsta Disciples” and the “Black Gangsta Disciples” which eventually became just the “Black Disciples.” Homicides in South-Side Chicago were always frequent, but since the arrest of key leaders who were crucial in gang’s organization (coupled with the economic recession), the violence has increased and gangs have splintered and formed various factions. Sometimes you will have people who belong to the same gang, yet belong to different factions, who will go to war with each other over drug territory. Initially the conflicts begin as a fight for drug territory, but the problems have only deepened over time. For example, the death of Jojo, who was well-loved and popular and a friend among various members of the Gangsta Disciples, escalated the conflict between the Black Disciples and Gangsta Disciples. Gangsta Disciples sought to retaliate for his death and it led to an all-out war between the two gangs that was more than just a territorial dispute; rather, it was about retaliation. All of these conflicts have their root in economic oppression; blacks have been systematically disempowered and have consistently lived in the most violent areas, not because we are “naturally” prone to committing crime or don’t work hard enough, but because of economic conditions that have been imposed on us by malicious outside forces. 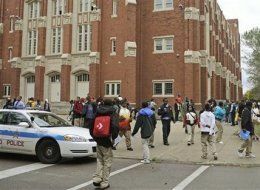 The obstacles that were, and still are, put in place, to halt black socioeconomic aspirations, has resulted in black youth acquiring detrimental social, economic, and political habits that are exemplified in the gangs that roam Chicago’s streets. Chicago’s state-sanctioned racism produces “thugs” and systematically strips the morality from people, replacing it with a stone-cold belief system and demeanor that is seen as necessary to survive on these mean streets. Those in Chicago’s hoods live in such dire poverty that some cannot abide by any types of morals (moral beliefs such as ‘stealing/shooting is wrong’) in order to survive. The origins of this violence all began in the early twentieth century when African-Americans that previously resided in the Klan-run south came to Chicago during the great migration, lured by the promises of jobs and political rights. Despite this, whites then entered the predominately black area on the South-Side, terrorizing the black population through arsons and assaults. Nobody, not even children, were spared in the attacks. These white angels with exemplary morals even sought to enter a predominately black hospital to terrorize the black patients there. Hundreds of African Americans, including women and children, were left homeless on the streets after fires demolished their homes in these senseless attacks. Richard J. Daley was 17 years old at the time and one of the leaders of the Irish Hamburg Athletic Club that led this senseless attack on the black community. Instead of being punished for these clearly racist attacks, he was made Mayor of Chicago where he would continue to push and support racist legislation to disenfranchise the black community. Indeed, the white-ran Chicago housing authority from its inception worked to ensure that blacks lived in segregated neighborhoods. While blacks were portrayed as being “violent,” many times it was not the “delinquent” black youth attacking innocent peaceful white people but vice-versa. During this time blacks lived under increased threats of violence and fear from whites. Subsequently, blacks had no choice but to live in ghettos because of the terrorism inflicted by whites against those who dared to live on the outskirts of their state created locus. Around this time, as whites began to barbarically attack black neighborhoods more and more frequently, black male youth began to form groups in order to protect themselves. They began to call themselves the “Black P Stone Rangers,” a group originally composed of impoverished black kids who protected themselves from white mob violence. Today, we know the Black P Stone Rangers as yet another gang who fights with both the Black Disciples and Gangsta Disciples over drug territory. Their origins can directly be tied to white mob violence. Also of significant note, the black community had attempted to take numerous steps to deal with gang-violence only to have their efforts interrupted by the government which further proves the government wants to keep blacks in social decay. Fred Hampton, leader of the Black Panther Party for Self Defense, attempted to form an alliance with Chicago’s black street gangs to turn them into an activist organization. Instead of allowing this alliance to manifest, the FBI would instead forge letters between the two groups to breed hostility. The Chicago Police Department would eventually assassinate the Black Panthers leader Fred Hampton. This alliance had the potential to unify black street gangs and end the violence that they were perpetrating against one another, but the government would not allow it to materialize. What we are witnessing today in the South-Side of Chicago is the aftermath of these violent attacks as well as systemic institutionalized racism cause by the capitalist system that governs us. 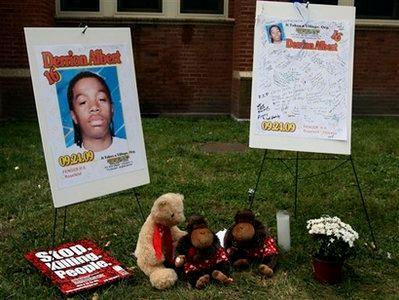 Today, gang violence continues to take the lives of black youth. It is absolutely ridiculous for right-wingers to use Chicago’s Gang Violence in their talking points on the failure of gun-control; a capitalist system, which right-wingers are the most vocal apologetics for, is directly responsible for such violence in the first place. 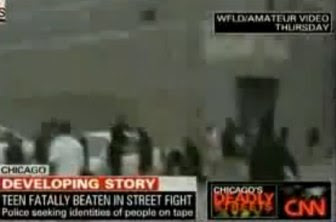 2)Fox’s Jesse Watters Investigates Chicago’s South Side: We Dont Shoot White People. 7)The Assassination of Fred Hampton: How the FBI and the Chicago Police Murdered a Black Panther by Jeffrey Haas.